In order to implement this face-off look to make sure the other team will be vulnerable to this. If they place their defense low in the zone closer to the slot then the percentage of is not a good. 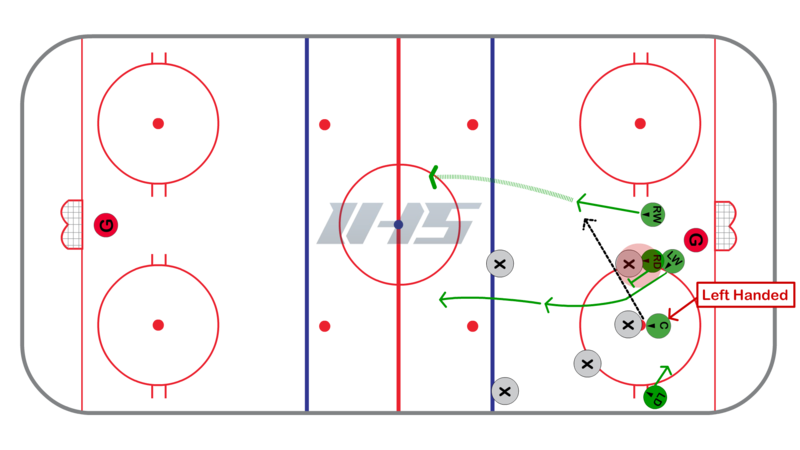 The best time to use it is when they place a foward on the weak side coming behind their center (which is very common) and their inside forward is aggressive and likes to move foward right when the puck is dropped. This helps clear the lane so the chances of getting the puck into the desired space increase. Get more face-off ideas on our face-offs page. Clay and Jake check this out want to teach next week in our three practices.